On 11 October at 18:00 everyone was invited to attend a lecture with musical elements by the renowned Swedish artist and musician Carl Michael von Hausswolff. From the abstract electronic and noise music grandees who have performed at Kim? over the past three weeks the renowned Swedish artist and musician Carl Michael von Hausswolff was the most varied in his creative manifestations and the most experienced as well. Since the end of the 1970s, Hausswolff has worked as a composer using the tape recorder as his main instrument and as a conceptual visual artist working with performance art, light- and sound installations and photography. 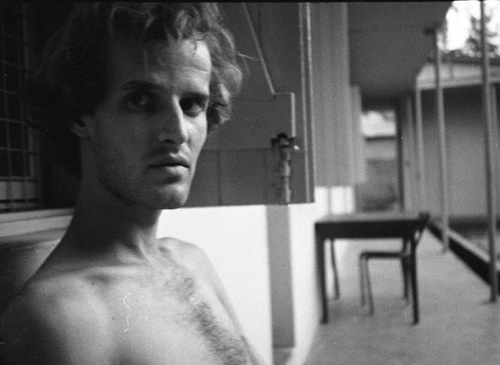 His works have been exhibited at biennales in Venice (2001, 2003, 2005), Istanbul (1997) and Johannesburg (1997), and documenta X. His works have been the favourites of the magazine ArtForum critics (2003, 2004, 2005). Carl Michael von Hausswolff’s music has been published by such publishing companies as Touch, Ash International, Laton, RasterNoton, Sub Rosa, Firework, Oral, Die Stadt and feld. He has collaborated with such musicians as Pan Sonic, Russell Haswell, Zbigniew Karkowski, The Hafler Trio and John Duncan and performed at such festivals as Sonar, Electrograph, I.D.E.A.L as well as at Skaņu mežs in 2004. Hausswolff’s 2006 London concert was recognized as the best of the year by the influential British newspaper The Guardian. 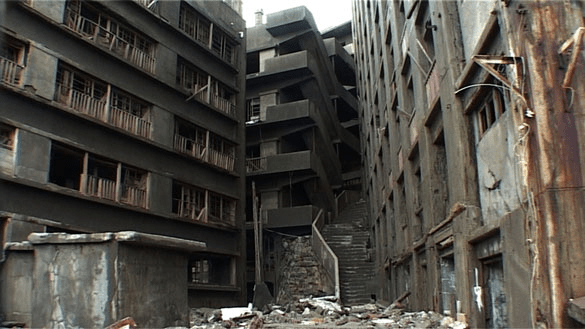 Hausswolff’s interest in architecture and topography has resulted in films Hashima, Japan 2002, Al Qasr, Bahriyah Oasis, Egypt, 2005 and Electra, Texas 2008. From 1979 till 1992 Hausswolff’s audio compositions were created almost entirely from base material taken from earlier audiovisual installations and performances and were made up of complex drone at times characterised by aesthetic elegance and beauty. Hausswolff has retained the elegance and drone supplemented with strong sense of alienation. Over the period of 12 years since 1996 Hausswolff ripped the last remaining bits of “the decorative flesh” off his music’s “bones”. Now his works are pure and intuitive meditations on electricity, frequencies and tonal autism in strictly conceptual context. Recently in his sound art he has explored such themes as architecture, urbanism, rats and worms. In his concerts very physical, almost brutal aesthetics, mixes with buzzing, multi frequencial beauty. The artist points out that the audience often falls into a sort of trance falling asleep in their seats. In his visit to Riga Hausswolff put the emphasis on the audio dimension of his art.